Before joining Bank of England Mortgage in Sept 2015, Jennifer worked as a Realtor which gives her extensive knowledge in the overall process of buying a home from start to finish. Jennifer understands that a mortgage isn't just about the interest rate; it is about the best product to fit your financial needs. 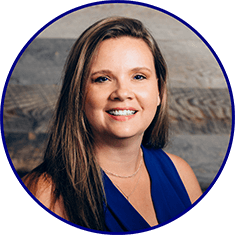 Jennifer will take the time to give you the one on one attention you deserve to make sure you understand your mortgage and the best way to obtain one. When Jennifer isn't working she is attending Irish Dance competitions and shows with her oldest daughter or letting the youngest run off energy playing amongst one of Milwaukee's playgrounds.